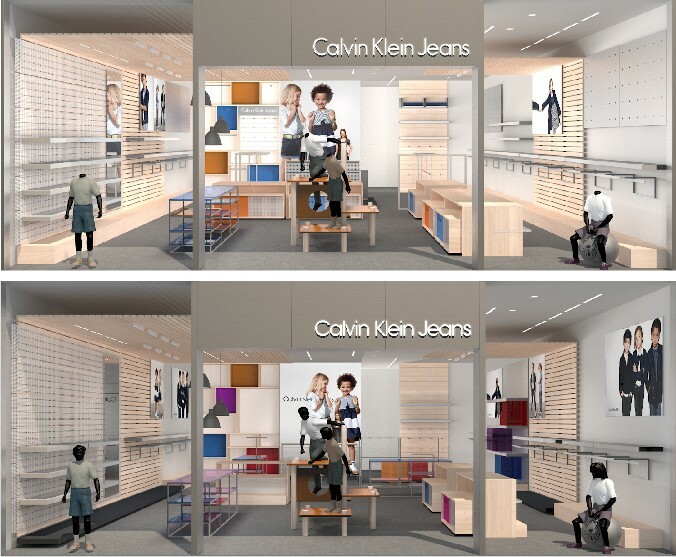 Base Creative was asked to develop a retail environment for the sale of children's jeans in China under the Calvin Klein Kids brand. 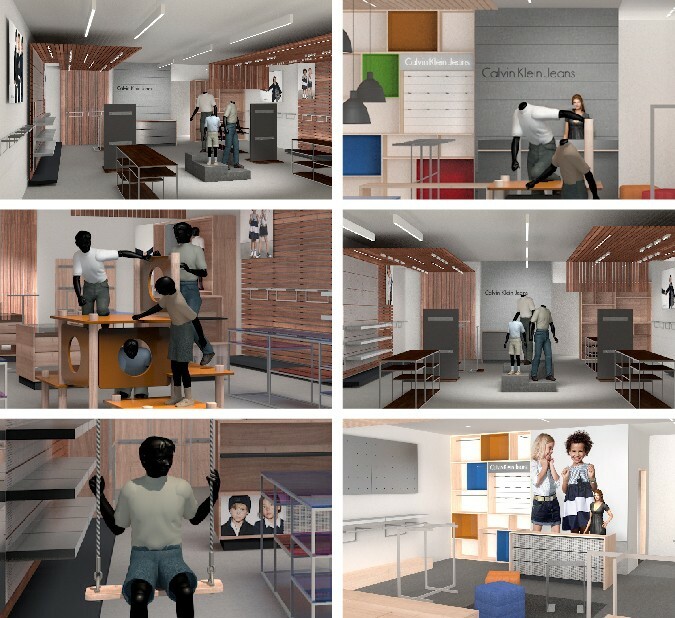 Several shop designs were developed in 3D renderings, adapting and reinterpreting elements of the parent Calvin Klein brand to the needs of a younger customer base. 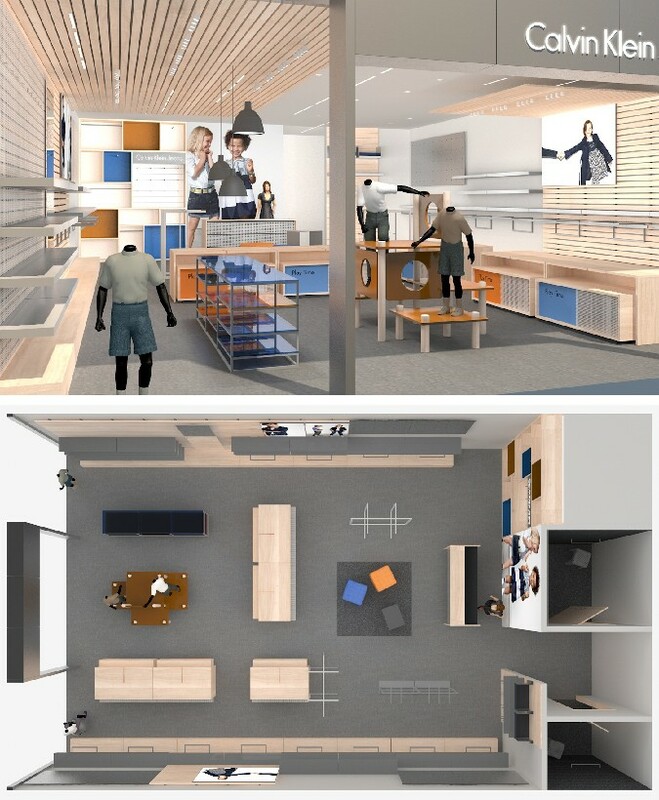 Additional work included a photoshoot for use in marketing materials.